Do you ever go through times when you eat a lot of one thing, maybe a little obsessed with eating sandwiches, wraps, smoothies, quinoa, whatever? I go through phases where certain foods satisfy me more than others, and thankfully it’s usually something healthy, though stress can sometimes bring out the ice cream cravings. Salad is my obsession at the moment. Piles of vegetables with something hot off the grill is getting me through a hot summer without spending hours in a hot kitchen. 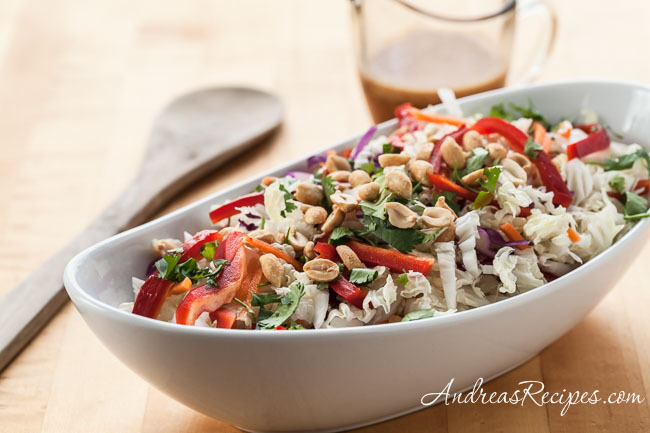 This fresh salad from Cooking Light is a favorite with my guys, full of crispy Napa cabbage, red cabbage, carrots, and red peppers with a peanut butter dressing that is tasty and easy to whip up. Regular green cabbage can also work, I just happen to like the lacy texture of Napa. 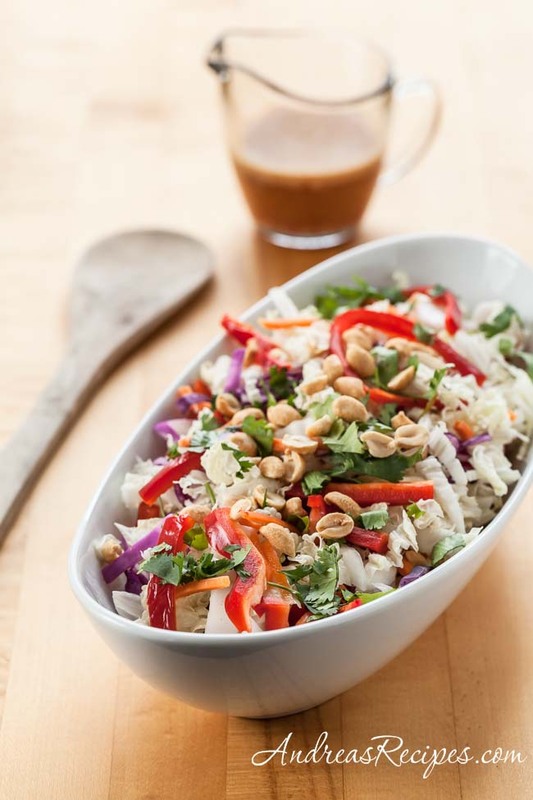 For the dressing, I use less fish sauce than the original recipe, which makes it just right for my guys; just enough to be a little salty without a fishy taste. 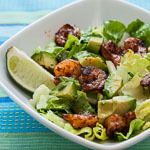 Combine all the dressing ingredients in a large bowl, stirring with a whisk until blended. 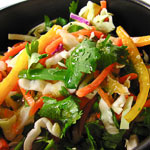 Add the Napa cabbage, red cabbage, bell pepper, and carrot, and toss gently to coat. Cover and refrigerate for 1 hour. Sprinkle on the peanuts, cilantro, and mint just before serving. 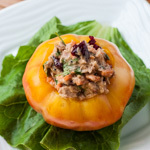 The salad ingredients and dressing can be made a day ahead then tossed together just before serving. Looks colorful and beautiful.. lovely clicks too! !